Mr. DeDiana is a sought after speaker on Elder Law and Estate Law issues, and has given numerous lectures and seminars to legal, professional and community groups. 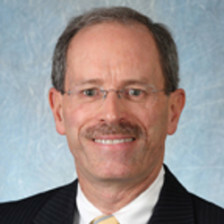 He has been a lecturer for the Pennsylvania Bar Institute for many years, educating other lawyers in estates and elder law practice. Pennsylvania Bar Institute, Pittsburgh, PA 5/30/03 – My portion of this seminar included a discussion of four major legal tools for incapacity planning. These included the representative payee, power of attorney, guardianships, and trusts. I prepared the course outline for my presentation. Pennsylvania Bar Institute, Pittsburgh, PA 2/16/11 – This seminar was a rigorous all-day seminar in which all of the participants were divided into small seminar groups of 20 attorneys or less. The faculty members were divided into teams of two, who taught the seminar participants all day. The course included a detailed review of numerous clauses in basic estate planning documents, including Wills, inter vivos trusts, testamentary trusts, powers of attorney and living wills. Pennsylvania Bar Institute, Pittsburgh, PA 5/25/04 – This seminar dealt with major tax implications that are encountered in estate planning and estate administration. Specific topics with which I dealt included income tax basis, and the income tax deduction for payment of federal estate taxes on income in respect of a decedent. Pennsylvania Bar Institute, Pittsburgh, PA 9/29/05– In this seminar, I discussed the various formal and informal ways of closing out an estate administration, including family agreements and a full administration settled by a court accounting. For the 2007 program, I prepared the written outline materials. Pennsylvania Bar Institute, State College, PA 10/25/05 – In this seminar, I discussed the law of estate and trust administration relating to the payment of debts and claims, and practical techniques for handling such matters. Pennsylvania Bar Institute, Pittsburgh, PA 7/7/98 – This seminar was a rigorous all-day seminar in which all of the participants were divided into small seminar groups of 20 attorneys or less. The faculty members were divided into teams of two, who taught the seminar participants all day. The substance consisted of a detailed review of the requirements of the marital deduction and its impact on wills, inter vivos trusts, and testamentary trusts. Pennsylvania Bar Institute, Pittsburgh, PA 12/11/03 – This seminar dealt with all tax aspects of estates and trusts. Pennsylvania Bar Institute, Pittsburgh, PA 7/15/04 – This seminar dealt with the preparation of the Pennsylvania Inheritance Tax Return, including detailed case studies. Elder Law Institute, Harrisburg, PA 7/21/05 – This seminar was part of the Elder Law Institute, which is a two day intensive seminar focusing on elder law issues. My outline focused on an overview of litigating and managing a guardianship matter. I prepared the course outline for my program. Pennsylvania Bar Institute, Pittsburgh, PA 3/9/06 – This seminar was part of the 7th Annual Estate & Elder Law in Pennsylvania Symposium, which is a one day intensive seminar focusing on estate and elder law issues. My outline focused on an overview of litigating and managing a guardianship matter. I prepared the course outline for my program. Pennsylvania Bar Institute, Pittsburgh, PA 3/22/06 – My portion of this seminar included a discussion of powers of attorney and advance directives. Pennsylvania Bar Institute, Pittsburgh, PA 12/18/06 – This seminar described various aspects of the administration of estates. My portion of the seminar dealt with the probate of wills as well as various important post-probate duties of the personal representative and legal counsel. Pennsylvania Bar Institute, Pittsburgh, PA 6/26/07 – This seminar described various aspects of federal and Pennsylvania fiduciary income tax returns, including the computation of taxable income, distributable net income, choice of fiscal year and excess deductions on termination. Gulf Coast Estate Law Conference, Marco Island, FL 1/18/08 – This seminar provided a detailed description of health care powers of attorney, living wills and healthcare representatives under Act 169. Pennsylvania Bar Institute, Pittsburgh, PA 5/16/07 – This seminar provided a summary of the relatively new Pennsylvania Uniform Trust Act. Pennsylvania Bar Institute, Greensburg, PA 10/28/08 – This seminar provided an overview of income and Income Tax Returns deductions in respect of a decedent, and the proper planning reporting techniques for dealing with them. I updated prior materials for the course manual. Westmoreland Bar Association, Greensburg, PA 3/27/03 – This seminar involved the preparation of materials for and seminar addressed to the Westmoreland Bar Association Young Lawyers Committee regarding an overview of estate administration. The 2007 presentation was for the entire Bar Association, and was for CLE credit. Westmoreland Bar Association, Greensburg, PA 3/20/03 – This seminar involved the preparation of materials for and seminar addressed to the Westmoreland Bar Association Young Lawyers Committee regarding an overview of estate planning, including wills, powers of attorney and living wills. The 2007 presentation was for the entire Bar Association, and was for CLE credit. Westmoreland Bar Association, Greensburg, PA 11/21/02 – For this seminar, I prepared written materials and addressed the Westmoreland Bar Association on all estate and elder law statutory developments in Pennsylvania in 2002. Westmoreland Bar Association, Greensburg, PA 12/16/99 – I presented this seminar on powers of attorney after the Pennsylvania statute which provides for powers of attorney was substantially amended by the legislature. Westmoreland Bar Association, Greensburg, PA 7/26/01 – This seminar consisted of a detailed description of the IRA distribution rules implemented with the temporary Treasury regulations. Westmoreland Bar Association, Greensburg, PA 12/17/98 – This seminar dealt principally with the effect of three issues. These included an explanation of the pros and cons of making a Section 9113 election for purposes of the Pennsylvania inheritance tax return for marital and credit shelter trusts, the abolition of the “unified credit” terminology, and a discussion of the tax impact of limited and general powers of appointment. Westmoreland Bar Association, Greensburg, PA 12/18/97 – This seminar dealt with a description of those portions of the Taxpayer Relief Act of 1997 which affected estate planning and estate administration. Pennsylvania Conference of State Trial Judges, Pittsburgh, PA 2/21/13 – This seminar was presented to state Orphans’ Court Judges at their Mid Annual Meeting in Pittsburgh, and was on the subject of litigation arising over lifetime gifts. I prepared the outline for the presentation, which was titled “Lifetime Gifting and Family Fights Over “Family Assets”.